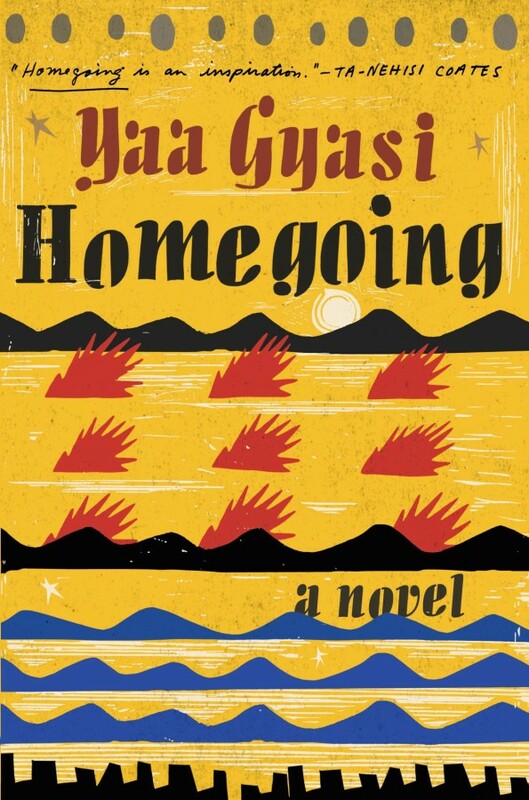 Homegoing read like a series of interconnected short stories, vignettes into the lives and struggles of these people. It was powerful, striking, and made me crave so much more. I wanted to read quickly to find out what happened to these characters, but I also wanted to slow down and savour their stories. Homegoing begins with the story of two half-sisters, separated by forces beyond their control: one sold into slavery, the other married to a British slaver. Written with tremendous sweep and power, Homegoing traces the generations of family who follow, as their destinies lead them through two continents and three hundred years of history, each life indelibly drawn, as the legacy of slavery is fully revealed in light of the present day. Effia and Esi are born into different villages in eighteenth-century Ghana. Effia is married off to an Englishman and lives in comfort in the palatial rooms of Cape Coast Castle. Unbeknownst to Effia, her sister, Esi, is imprisoned beneath her in the castle’s dungeons, sold with thousands of others into the Gold Coast’s booming slave trade, and shipped off to America, where her children and grandchildren will be raised in slavery. One thread of Homegoing follows Effia’s descendants through centuries of warfare in Ghana, as the Fante and Asante nations wrestle with the slave trade and British colonization. The other thread follows Esi and her children into America. From the plantations of the South to the Civil War and the Great Migration, from the coal mines of Pratt City, Alabama, to the jazz clubs and dope houses of twentieth-century Harlem, right up through the present day, Homegoing makes history visceral, and captures, with singular and stunning immediacy, how the memory of captivity came to be inscribed in the soul of a nation. I had so many feelings while reading the book—and still have many. I absolutely loved Homegoing, despite the sombre subject matter. The pacing is pitch perfect—Gyasi moves from one generation to the next, dangling threads from each family’s lineage allowed the reader to follow seamlessly. Alternating between Effia’s and Esi’s descendants gave a nuanced and striking depiction of the experiences and oppression both families faced. Yaa Gyasi’s writing was lyrical and poetic; she balanced sparse yet descriptive prose that had me fully satiated yet craving more. From the descriptions of surroundings, to the intimate thoughts and feelings of a character, Gyasi’s voice enabled an intimate connection to their stories. Despite the hardships of life, general oppression, and historical horrors these characters faced, the language used was frank, and honest. It is an incredibly talented writer that is able to depict the actions and opinions of a character (however unsavoury they may be) and still remain non-judgemental, not asserting their own opinions about that character on the reader. For example, a number of the character participate in slavery, colonization, and racism. These characters are depicted in such a way that we can see the nuances in their situation despite disagreeing with their actions. It is done in such a way that these horrible actions made me angry on behalf of the individuals, without feeling despair in the novel itself. I absolutely love linked short story collections, and the pacing of Homegoing was reminiscent of that, although it was a novel. Each chapter moves the narrative forward a descendant, and continues the story. Even once the original characters are long deceased, the reader is still drawn into the stories of these characters, hoping that with each passing generation perhaps the oppression, racism, and traumas they face will lessen. Full disclosure: I initially borrowed this book from the library. I later purchased a copy of this book from a local independent bookseller during the Vancouver Writer’s Festival. The opinions expressed here are my own.